Modena Terzo Mondo Association has for several years been supporting many projects in different cities in the State of Goiás. For ease we have grouped these projects into two sections: the first section is bigger and called “Goiás” generically, and contains all the projects we are involved with in the town of Old Goiás, Itaberaí and Itapirapuã, the second, called “Goiânia”, groups together all the projects in that city, which is the capital of the state. Goiás is the most central state in Brazil; in the 1960s an eastern part of its territory was handed over to the government for the settlement of the capital city Brasília. In 1934 the city of Goiânia became the capital of the state of Goiás, and nowadays it has almost 1.5 million inhabitants. 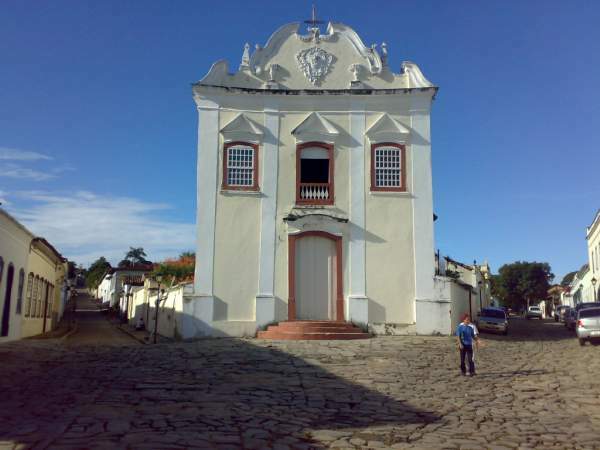 Before Goiânia, the capital was Vila Boa de Goyaz, also known as Goiás Velho (Old Goiás), which is nowadays a World Heritage site and famous for its colonial architecture, its rivers and waterfalls, the agritourism, a beautiful community of Benedictine monks and many old churches. 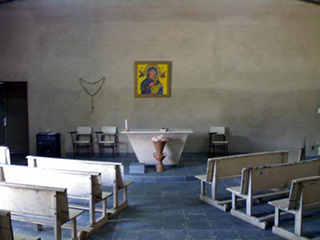 It is also the headquarters of the Diocese of Goiás, which is made up of about 23 towns (or rather 23 parishes). Goiás’ origins are closely linked to São Paolo: inhabitants of São Paolo, gold diggers and slave traders were the first to arrive in Goiás in the 17th century, in the period known in Brazil as the ‘gold rush’. When the gold began to run out, the economy switched to other sources: to agriculture (rice, corn, beans, soya beans and oranges are some of the main crops), to the breeding of livestock (oxen, pigs, sheep and horses) and to the mining of minerals (including asbestos, limestone and particularly diamonds and gold). Only recently, in addition to mining minerals and agriculture, have the food and metal industries taken off. The state of Goiás takes up an area of 341,289.5 km2, with around 6 million inhabitants. It has a tropical climate with very distinct seasons: the summer, from December to April, coincides with the rainy season and the winter, from May to late August, coincides with the dry season. The landscape is defined by a central plateau with very fertile soil, geologically the oldest part of Brazil, which is covered by savannah and irrigated by the River Araguaia and the River Tocantins. The Araguaia is the most popular river for tourists, who spend holidays camping on its shores. In the dry season, as well as the river, there are also pleasant thermal springs at Caldas Novas and Rio Quente, the distinctive town of Pirinópolis with countless waterfalls in the surrounding area and the national park Chapada dos Veadeiros. Despite the apparent abundance of food and a number of natural wonders for tourists, there are many poor people living in Goiás who lack their most basic rights. Above all, the urbanisation of the population stands out. There are people uprooted from their land who, hoping for a better life, arrive in the big city where their dreams are shattered by the reality of a life of poverty and countless difficulties, in shanty towns on the outskirts. Goiás is known in particular for two things: the possession of the land by large landowners, and the landless farmers’ struggle for that very same land. In this setting, the city of Old Goiás is considered to be the heart of the ‘asentimenti’, the camps of the landless farmers. 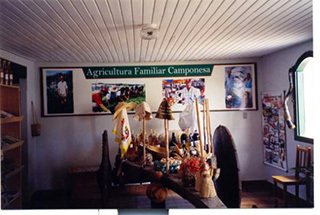 Supported mostly by the Diocese of Goiás (the Pastoral Land Commission), these farmers form cooperatives, associations, movements, etc. and they campaign for the longed-for agrarian reform from the government. It is in this environment that the association Modena Terzo Mondo (Modena Third World) has been working for 13 years, supporting and aiding numerous projects in Goiânia and in the Diocese of Goiás (which has had a twinning with the Diocese of Modena for 40 years, thanks to the many missionaries from Modena that live or have lived there). The support given is destined mainly for children, landless farmers, the very poorest people, alcoholics and drug addicts, and the core community, and it also aims to create alternative sources of information and media. The projects spring from the local communities and through the Modenese missionaries the organisation tries to lend a helping hand to make it possible to live in a fairer, more equal and supportive world, where everyone has the right to eat breakfast, lunch and dinner every day. The project’s aim is to spread information to the community, by means of videos and newsletters, about the situation in the camps of homeless farmers and, above all, about the principles that drive their organisations. These activities bring together the farmers’ and their movements’ need to make themselves heard, something which the official media almost always fails to do, with the consequence that people only get partisan and violent ideas and the homeless farmers. Community radio broadcasting is a recent phenomenon in Brazil’s history. They were officially allowed to transmit programmes in 1998. They broadcast in FM with low power and limited coverage. They must satisfy the cultural, social, educational, amusement and practical needs of the community that receives its signal. They also function as a workshop for communication and journalism students. Community radio stations must not operate for financial gain and they have to survive on very small budgets. They must also sense the exact priorities and wishes of the community which, however small, can contain diverse cultural and social attitudes. Radio Vila Boa is an alternative, community and non-commercial radio station. Its aim is to give a voice to the people and to civil society, giving space for their points of view, their proposals and thoughts. With the support of Modena Terzo Mondo, a recording studio and a control room have been built and music broadcasting equipment has been provided: the station’s audience is now 60% of the population. Every broadcasted debate complies with the democratic statute for fairness. Every morning for the last five years, a thousand or so listeners wait for the beginning of Radio Vila Boa’s programme, which is committed to representing and meeting the needs of the community in Vila Boa. Many people, in fact the majority, make it part of their daily routine to listen to the programme. But there are so many people and the communities are so divided that it becomes really difficult to please everyone. There is airtime for local cultural events and priority is given to local music, local news and community events. Religious expression is also valued and these groups, just as much as politically and socially organised groups, consider it necessary to make use of the radio. The radio’s programmes pay particular attention to public events related to the local people, freedom of expression and the fundamental needs of the people. Unconditional support is given in times of emergency in the community. For example in March 2007 when heavy downpours totally or partially damaged indigenous families’ houses in the poorest part of the city. The citizens used the radio to make people aware of the victims’ needs. After the programme on the disaster was broadcasted by Vila Boa FM, the political authorities involved in the voluntary work shared their opinions and declared their support for rebuilding the houses. Food and clothing distribution campaigns were an integral part of the broadcasting. They called for businessmen and ordinary citizens to donate food to be sent to those in need. Official organisations that work for the citizen’s welfare made use of the radio to inform people that the goods had arrived and to ease their distribution. To provide a voice for the community’s needs. The projects are financed by various social movements: there is no private advertising. Amongst the radio’s partners are the Diocese of Goiás, CPT, and MPA. Modena Terzo Mondo has supported the extension of the facility. The Project: Teaching and practising in the Family Farming School in Goiás. The Family Farming School is a non-profit educational organisation made up of parents and children, which was founded in 1992. The school’s aim is to stop the young sons of farmers from being uprooted from their land. The school operates by alternating: for a fortnight the boys go to the school to study how to cultivate their land in theory and in practice, and then for a fortnight they stay at home with their parents to share and put into practice the things they have learnt, collaborating with their family and the community to improve their farming techniques. This year the school has 151 pupils from middle schools, secondary schools and vocational institutes. This project includes around 98 families of farmers from 16 towns in the region. Thanks to the support of Modena Terzo Mondo and the town of Formigine, the school has received new support and public funding which has made many improvements possible. 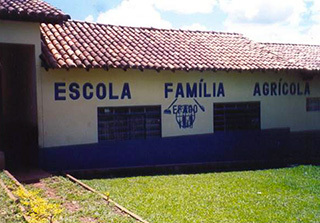 Throughout Brazil there are only 20 schools of this kind. The city of Goiás became a big centre for migration after receiving UNESCO World Heritage status. The people who arrive wanting to improve their own cultural and socio-economic conditions need help becoming citizens through integration and social encouragement. But the city of Goiás must also cope with all the main problems found all over Brazil: unemployment, shortage of land and inadequate health and education provisions for young people. The solution of the landless workers and the unemployed was to back the Agrarian Reform process, which is one of the strongest movements in the community. Consequently, Goiás now has 22 settlements. This is one reason for the increased migration of people from other regions towards Goiás. The majority of the families who have settled there live outside of the city itself and when they need to go to the city if health problems or other issues arise, they have nowhere to spend the night. The Diocese of Goiás, together with the Migration Office, having helped hundreds of poor people who are forced to move constantly, decided to create a welcome centre called “Casa do Migrante”. The building, which opened officially on the 18th February 2000, was created to give support and assistance to needy people that arrive in the city from the countryside for medical visits or to be near to a relative who is recovering in the city hospital. The centre then began to welcome people from other Brazilian states who had migrated to the city to search for work in the tourism and crafts industry, above all after the city was upgraded by UNESCO to World Heritage status. The building can accommodate up to 30 people. To welcome migrants and travellers in need, accommodating them despite their differences and helping their integration into the local community and society, ensuring that they are treated humanly. The missionary spirit is kept alive in the house. Welcoming these poor migrant families is like welcoming Christ, assuring a human treatment. Through study and contemplation, they try to make the causes, consequences and pastoral implications of human migration more widely understood. To co-ordinate this welcome centre, as well as the Scalabrinian Sisters, there is a team of Scalabrinian parishioners connected to the Migration Office who volunteer with great dedication in the house. A small meeting with the State has been arranged, but in the meantime, the funds for food, water and electricity bills always arrive very late. As well as this contribution, the local community has been donating food. However, as this is a sporadic donation and seeing as the centre always needs to be able to provide food, the contributions do not cover all of the house’s needs. Modena Terzo Mondo, thanks to the help of the community in Modena, has supported the house for around a year, contributing to the building’s maintenance expenses, guaranteeing the salaries of two social workers inside the house, who work every day with the twenty dedicated volunteers who are involved with the house. To this day the Migrant House has remained faithful to the principals it was created on, thanks to the help of these groups. Goiás II is the name of a district on the outskirts of Goiás. It is 7km from the city centre and the furthest away. In 1994, in collaboration with the local residents, the State created 101 council houses by offering plots of land and building materials in the area. It was opened in 1995 and today there are around 200 houses. But Goiás II still does not have any nurseries, schools, health centres or tarmac on the roads. There is considerable poverty, big social unease, few alternatives, and crime, drugs and prostitution are widespread. There are no decent trade or business prospects and only one trained health practitioner. Thanks to the work of some of the staff from the Diocese of Goiás, many families got together to find better living conditions. They then created a neighbourhood association made up of local families. Even though they face many challenges, every year the community strives to throw a party in June and at Christmas, and they celebrate International Children’s Day and organise leisure activities. It is worth emphasising the important work the staff does for children up to the age of six, who are provided with a special type of food to prevent malnutrition. They also work with pregnant women. Up against so many challenges, from the very beginning the community has tried to improve their quality of life. The same year that Goiás II was created, a group of women went to the local council to demand a plot of land on which to build a community centre for everyone to use. A few months later a plot of 700m2 was granted to them. Following this important achievement, a significant number of families began to arrange things in order to build the Community Centre. With the help of a few people and workers, work began in 2002. Since then there have been many hurdles. At the moment there are external walls but work on it has come to a halt due to a lack of funds for the roof, windows and doors. The centre’s aim is to become a reference point for local families, which can offer help and encourage integration into the community. To bring about human, social, cultural, religious and leisure developments. To strengthen the bonds that help families integrate. To provide a space for religious education, meetings, birthday parties, religious events, literacy workshops and other similar activities. To carry out work to help malnourished children and pregnant women. To achieve its aims, the centre requires the integration and participation of the neighbourhood, help from volunteers, outside visits and faith in God. Donations from citizens and mainly from Modena Terzo Mondo have funded the centre. There have been social fundraisers such as bingo nights, auctions and second-hand sales. The Parish of Santana has donated tables and chairs. Now ideally, the next step is to improve the community centre, which is practically ready, and add an extension to provide rooms for training courses, religious education and other activities that enhance the lives of the local residents. In line with the struggle of the farmers who belong to small associations, the farming movements are planning to build a house that will be able to accommodate up to 25 people. The house’s main aim will be to teach young farmers about the MST (the Landless Workers Movement). The ‘chácara’ (the farm) is owned by the monastery of Goiás. The project has in mind training courses on home-grown, ecological and collective agriculture, courses on organic soil and livestock treatment techniques; training for beekeepers and fishermen on common practice, training for the workers on the land and meetings for young people from the rural workforce. These are happy moments for the Kairòs association (part of the region’s faith and political movement) and for the human rights lawyers in the Diocese of Goiás. The project’s aim is to provide a service for the town of Goiás and the 23 other nearby towns that are in the Diocese of Goiás. In Goiás there are 24,000 people in unemployment, which is a ratio similar to that of the whole State of Goiás. The most recent census showed a decrease in population in the city due to the emigration of so many young people to other nearby cities in search of better living conditions. This lack of work leads people to spend their days and nights drinking in the city’s bars and squares. Others look for alternative places to drink in the camps of the “landless” and end up being thrown out for drug or alcohol abuse. The region has mainly temporary job contracts, such as in the tourism industry and in sugar cane and tomato plantations, which thus creates a swing between employment and unemployment. In general the people in the region have a low level of education and the men are very macho, and drinking alcohol is seen as a way to prove one’s virility. It is not acceptable in society to take drugs, but neither is it surprising, and the blame is laid on the tourism industry. The government organises an event in the city called FICA (International Festival of Environmental Film and Video) which costs a great deal of money. However the visitors to the festival do not always leave positive messages about nature and humanity. For example at the last festival, the band “Cachorro Grande” and their singer Luiz Melodia encouraged drug-taking during their shows. 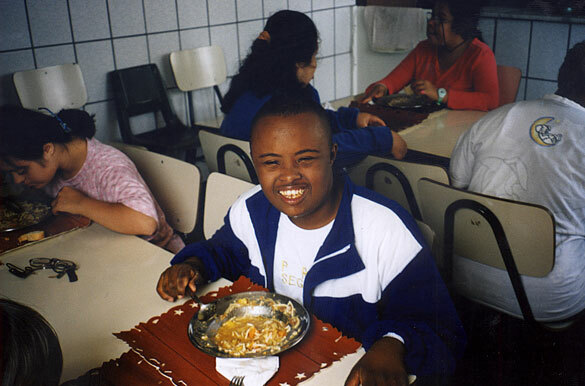 Due to requests from families searching for treatment for alcoholics and drug addicts who have trouble getting into rehabilitation centres, the institution “Chácara de Recuperação Paraíso” was created and shortly afterwards a social reintegration project was also set up to help reunite the addicts with their relatives and society. The drug addicts (often young people) stay in this house for nine months and are monitored by psychologists and a spiritual guide. The patients arrive completely helpless without any clear life prospects, the majority of them having lost wives and children. During the treatment we help them to rebuild their self-esteem and show them what changes they need to make in their family relationships or when searching for new human contact. We support the reconciliation of parents and siblings. We aim to help drug addicts and alcoholics recover and reintegrate into their families and into society, to offer assistance to drug addicts, with the future hope of welcoming HIV-AIDS sufferers, pregnant women and orphaned teenagers, and to support people in the process of recovering their human dignity. We aim to fight for an end to racial, sexual, ageist and religious discrimination, to aid the families of “those in recovery”, following them through every step of the treatment, to organise the production, distribution and sale of food and craft products, etc., monitoring how the patients undergoing treatment use their time and learn to support themselves financially, and we aim to offer meeting opportunities for the families of the people undergoing treatment. Our work is based on three elements: prayer, work/discipline and support therapy. Spirituality enables an individual to discover that God is essential in the process of change. Knowing that human kind is never alone, and that there’s always a Higher Power which guides us, provides great comfort and is of the utmost importance in this phase of transition and sudden changes. There is no specific religious orientation of the therapeutic community. We receive assistance from the Catholic Church and the Christian Church. We don’t demand a religious conversion of the patients (in fact we accept people of all faiths, including atheists), but everyone is required to participate in group meetings. Occupational therapy revolves around aims: beyond saying ‘no’ to idleness, it stresses the importance of learning the value of work and many other values such as working on feelings, discovering and perfecting skills, boosting self-esteem, seeing the possibility of making a living from one’s work, accepting limits and rules, having discipline, taking responsibility, learning to help others, strengthening respect for the people around us, concentration and attention, learning the concept of an activity’s beginning and end, improving one’s behaviour, one’s character and the ability to organise and rehabilitate oneself physically. The therapy group: the purpose is to let patients open up their imagination, and at the same time to encourage them to take notice of the effects that their fantasies have inside the group. These individual fantasies support the actions, plans, intentions and desires of a person, and they are the basis of what is present in everyone’s subconscious. The therapy group teaches self-awareness. The 12 steps of the AA – Alcoholics Anonymous. The group gets together on a regular basis to discuss their individual problems, to share successes and to mutually support one another. One of the most well-known characteristics of the programme is the act of introducing themselves with their name, then by stating their addiction and receiving help to avoid relapses. The basic idea is that the individual will end up with a solution to their family problems, finding a job and solving their issues without having to resort back to drugs or alcohol. Recreation is a way of passing the time by distracting and relaxing them physically and mentally. While free time can be a form of entertainment or rest, recreation makes sure they are occupied with activities. Recreational games allow everyone to enjoy themselves, since they are not sports where competition is necessary. The important thing is that recreational games create a process which provides physical and mental well-being for the individual. Sport is the name given to physical activities played by people who accept rules and participate competitively. Sport is helpful to society and people in general because it prevents illness and contributes to our physical and psychological development. Sport stimulates healthy growth. It is also important, beyond the obvious benefits, for psychomotor improvement, as an incentive to socialise, for learning discipline and awareness that every effort has its rewards: the excitement of winning and also the ability to be a good loser. What’s more, sport is also a way to stay away from drugs. Yoga is an ancient tradition with Indian origins which has various aims: self-awareness, balance between the body and mind, physical and spiritual health and a connection between the individual and their surroundings. The Diocese of Modena, through Don Isacco Spinello, Formigine’s current parish priest, has donated €14,000 from Don Marchiori’s will, which have enabled them to begin the extension of the house. Once the renovation is finished, the house will be able to host around 30 people, as well as 15-16 year-olds, prioritising those with the lowest family income. The Diocese of Goiás has provided the farm to accommodate the house and Modena Terzo Mondo has added the remaining funds needed for the renovation. The Family Farming House is a place for integration and exchange between the small farming families and the urban population. The house was created to give farmers the opportunity to sell their produce at fair and consistent prices, thus allowing their families to carry on working in the countryside, while improving their living conditions, gaining autonomy and supporting their own cultural identity. The Diocese of Goiás has provided the building (an ex-restaurant) which is open all week; every day 40-50 families arrive to sell their produce, for the benefit of 300 families overall. Outside of the opening hours, the farmers hold meetings in their own homes where they discuss, compare and learn about social and cultural concepts from themed conferences, etc. 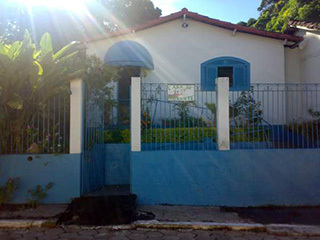 The São Francisco Centre is a kindergarten for local children in São Francisco, in the Jardim Cabral neighbourhood, in Itaberaí. The centre’s aim is to allow mothers to go to work and meanwhile be able to leave their children in a safe place, to save them from the streets, that is, away from violence, social degradation, prostitution, and crime. The children receive three meals a day and take part in educational and recreational activities. The centre can host around 120 children (although there is much more demand than the capacity allows). The building, as well as being a kindergarten, satisfies the community’s needs in general, it is used for religious education and also by the elderly, etc. The centre is also equipped with a community vegetable patch to make it self-sufficient and any produce that is not used directly by the centre is sold, with the revenue contributing to the running costs. The whole centre has been built with the support of Modena Terzo Mondo, the province of Modena and the town of Formigine. In the state of Goiás is the small town of Itaberaí. There are now around 23,000 inhabitants but that figure is growing rapidly due to the constant flux of immigrants from the surrounding countryside and other villages in the region. Around 8 years ago a neighbourhood called Fernanda Park cropped up on the outskirts of the town and there are approximately 1400 families living there, the majority of which live off very little and in miserable conditions. The unemployment rate is very high and there is also a lack of good quality education for the town’s children and teenagers. These youths cannot rely on their parents for support, as they are often far from home on the hunt for a job or otherwise simply lacking the ability to help their children with their school homework. Because of this, the neighbourhood’s Christian community decided to create a support centre for the young people. A collaboration between the Parish of Itaberaí, the Catholic community and the local school led to the creation of the Fernanda Park Education Centre for Children and Teenagers in August 1999. To start with there were about 20 children who went to the afterschool club in the local chapel for 2 hours every day from Monday to Friday, helped by volunteers from the community. From then on the number of children grew progressively and the centre’s objectives became clearer. What had started as an afterschool club transformed into an education centre that tries to get children and teenagers off the streets and offers them an all-round education in a loving, respectful and welcoming, familiar environment. This way children and families are much more motivated to participate in this centre as opposed to other similar centres where they are offered economic incentives by the council for attending. Due to the increase in children and with help from Modena Terzo Mondo, a gym hall was built, where sporting activities and the afterschool club take place. Subsequently a house was bought and renovated and they decided to build a larger, proper centre equipped with five classrooms, a computer room, a library, as well as a kitchen, an office, a beach volleyball court, a playground and a small pool. There are now around 330 children attending the centre, split into two groups of four hours each: those who go to school in the morning come to the centre in the afternoon from 1-5pm and those who go to school in the afternoon come to the centre in the morning from 7-11am. Unfortunately, even when running at maximum capacity, the centre does not have enough space to welcome everyone who would like to take part. The centre’s activities involve both the afterschool club (also known as school support lessons) where they do their homework set by the school, but also go over the topics dealt with in lessons, and other learning programmes such as dance, painting, IT classes and crafts and capoeira lessons. take children and teenagers aged from 5 to 17 years-old off the streets, which is not considered a good educational environment. help children up to the age of 13 with their school homework. help children and teenagers to grow healthily by offering them fun activities to encourage them to socialise. help children and teenagers to build their self-confidence and fully exercise their citizens’ rights through sports, games, painting, drama, IT and making crafts. To achieve these goals we need to have the parents’ trust and an informal environment that doesn’t seem like school. Running the centre is in the hands of a local woman who truly loves what she is doing and sees it as her vocation: she works like a volunteer and only receives a minimal contribution from the parish, which goes towards covering her expenses, and is just enough to get by. She is helped by 15 teachers who are paid by either the town or the State, chosen mainly by her and who live in the same situation as the children and teenagers. The atmosphere found in the centre is very informal and affectionate, where the teachers dedicate themselves entirely to the needs of the young people. To work in the centre, it is not someone’s qualifications that are most important, but rather their personal experience and above all their love for children and teenagers, although the staff are also keen to improve their theoretical knowledge and therefore attend refresher and teacher training courses. Over the last six years we have seen more and more parents approaching the centre, which they feel is their own space. Many parents in fact work there, meaning that there is no need to employ cooks or cleaners because the mothers have voluntarily taken up these duties of their own accord. As the centre cannot survive solely on its own resources, over the past few years we have been searching for alternative solutions instead. On the other hand, the rising number of children using the centre has made it impossible, up until now, to fulfil our aim of helping everyone. 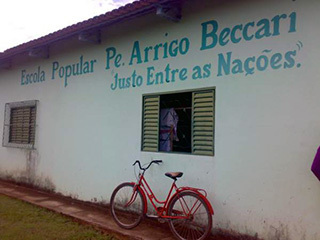 The town of Itaberaì and the State of Goiás have been providing the teachers; the judiciary is donating a portion of the fines they collect to buy non-perishable food; a local businessman offers us 250kg of chicken every month; and other people are helping with small monthly donations. We are trying to find a means to pay for the meat, fruit and vegetables that the children eat for lunch and dinner, for the medicine, school and study materials, as well as paying for the water, electricity and telephone bills which cost around €1,500 per month. To get around this issue we are investigating the feasibility of certain projects, but for now we are forced to rely on the help given by so many Italian friends who support our efforts. The CEPAMI centre was designed in 1996 to accommodate a family-school exchange and since then Modena Terzo Mondo has been working to improve the lives of children and teenagers belonging to the most needy families. In 2002 important progress was made thanks to contributions from the province of Modena and the town of Formigine. Since 2005, mainly due to the active collaboration of the UISP (the Italian Sport for All Association), a new multipurpose building able to host 250 children has begun to take shape. This building is a real alternative to the degradation of street life and so many teenagers can come here, offered the opportunity to play sports such as football, volleyball, basketball, swimming, athletics and capoeira, in the hope that they will recognize their individual potential and learn the values of sharing, team spirit and fairness. Since 2007 the Don Arrigo Beccari Folk School (with the support of the Don Arrigo Beccari Missionary Centre in Bagazzano/Nonantola), named in memory of a Modenese priest who saved more than 70 Jewish boys and girls from the nazi-fascist dictatorship during the Second World War, has joined these activities. The school’s cultural activities help to strengthen the teenagers’ characters and allow them to express themselves through art, crafts, painting, theatre, embroidery, music, poetry, IT, etc. The centre also guarantees valuable school support lessons and two substantial meals a day in the canteen for everyone. This project is now undergoing further expansion following high demand from the local community. 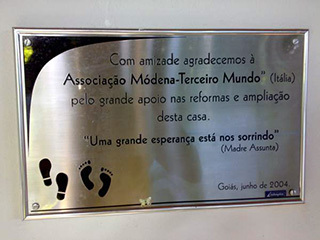 The project’s glowing results are down to not only the continual work carried out by Modena Terzo Mondo and our partners such as the Don Arrigo Beccari Missionary Centre and the UISP, but also to the productive collaboration with the State of Goiás and the town of Itapirapuã, the province of Modena, ten towns in the province of Modena, Modena’s Fondazione Cassa di Risparmio, as well as private companies like ITI Impianti and many other volunteers and members who support the project every month. 192km away from Goiânia, the capital of the state, is the municipality of Itapirapuã which has a population of 9,126 people: 2,653 of which are in the countryside and 6,474 of which live in the city. The economy is based mainly on agriculture, but all the land belongs to the vast properties of large landowners. The transition from a rural region to a modern and industrialised one has increased productivity locally, but it has also caused numerous social issues for the population. The main issue is the migration of many rural families to the city. As a consequence of this, suburbs crop up characterised by crime and unemployment. Families leave the fields to follow the “metropolitan dream” but more often than not when they settle in the city, they are forced to compromise and work for less than the minimum wage. The cost of living in the city is also higher, so often both parents are obliged to work. Under these conditions the children are often left to their own devices. As a result the children and teenagers spend their days in the street, growing up surrounded by delinquency, illiteracy, prostitution and drugs. The CEPAMI Centre (Centro de Pastoral do Menor de Itapirapuã) was designed in 1996 to accommodate a family-school exchange. A new centre for minors was built and opened in 2002, run by CEPAMI in partnership with the State of Goiás and the local council. The financial input bestowed by the province of Modena and the town of Formigine has been significant. The pre-existing building, which accommodated children and teenagers belonging to the most needy families, was completely inadequate. However the new building, conceived thanks to the partnership between the monk/architect Brother Celso and the previous manager Aparecida Macedo Larindo, was launched on the 18th July 2003 and now welcomes 160 children, offering them school support lessons¸ activities making crafts to then be sold, and recreational and sporting activities (although these are limited by a lack of suitable space). The building almost maintains itself and the teachers’ wages are paid by the State and the council. The extremely valuable support of the local community guarantees the food provisions. Sporting activities: in the hope that they will recognise their individual potential and learn the values of sharing, teamwork and group spirit. Aim: to introduce boys to sport, putting them on the right track towards the values that sporting activities emphasise. Contents: football, handball, volleyball, basketball, athletics and swimming. Cultural activities: they help to strengthen their characters, getting them involved in their region’s culture. Aims: to develop and improve their artistic potential, allowing them to express themselves through art. Contents: painting, theatre, music, embroidery, poetry. The project supports around 90 landless farming families from two large camps: Boa Esperanza and Padre Josimo, both in the area surrounding Itapirapuã. In this area there are five camps full of landless farmers who look forward to and fight for the Agrarian Reform which would give them land to cultivate, the land of the INCRA (the National Institute of Colonisation and Agrarian Reform). The illiteracy rate in the camps is around 50%: the project, with the help of Modena Terzo Mondo and the town of Nonantola, is to promote the education of young people and adults throughout the rural workforce and the Landless Movements. The more teaching and education the farmers receive, the easier it will be for them to defend their rights and prevent them from being deceived by people who want to exploit them. The Families’ Waste Recycling Association was created due to the need to improve a few families’ financial and employment situation, by making use of existing resources. There are ten families who make up the association and around 60 people involved in total. On top of generating work and enough income to beat their hunger and poverty, the association’s second aim is to raise environmental awareness in the local community. The town of Itapirapuã has donated the necessary land and machinery and Modena Terzo Mondo has begun to build the barn. This project is a model for many other nearby towns. In the city of Goiás and in the surrounding area there are large numbers of landless farmers in camps. The children of these farmers often live several kilometres outside of the city centre and have serious difficulty travelling to school and buying the materials for school. Supporting the education project for the children in the camps by offering them scholarships, Modena Terzo Mondo helps them to make the most of their right to schooling: the scholarships cover the cost of the school bus, school materials (textbooks, exercise books, pens, etc.) and the pupils’ school meals.